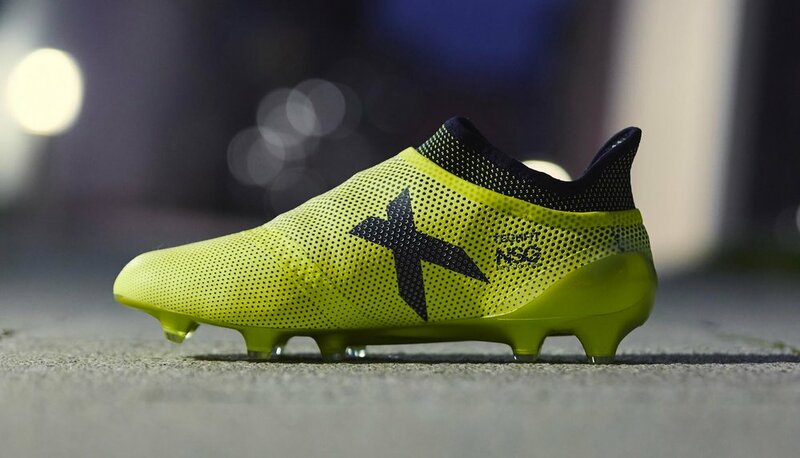 Hitting it hard for the start of the new season adidas fire up a bright "Solar Yellow" edition of the X 17+ Purespeed to arrive as one-quarter of the "Ocean Storm" collection. Bursting in bold, it's a strong on-pitch start for the Purespeed party. 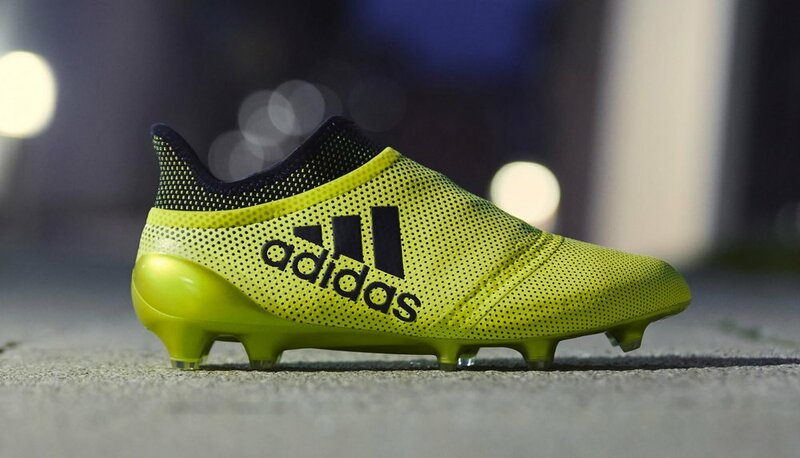 Taking a different direction to the Nemeziz 17+ and ACE 17+ Purecontrol, the X 17+ Purespeed packs an electric voyage of volt as it takes its place in the "Ocean Storm" collection. The vibrant backdrop hosts black branding to create a simple but unmissable combination to kick off the upcoming 2017/18 campaign. As the "Ocean Storm" pack is the first on-pitch colourway of the new season, you can expect to see the full line-up of adidas X players wearing the design for their opening league fixtures this month. That includes, Luis Suarez, Gareth Bale and Thomas Muller. Premier League wise you'll see Theo Walcott and Alvaro Morata in the boots during the Community Shield at Wembley on Sunday. 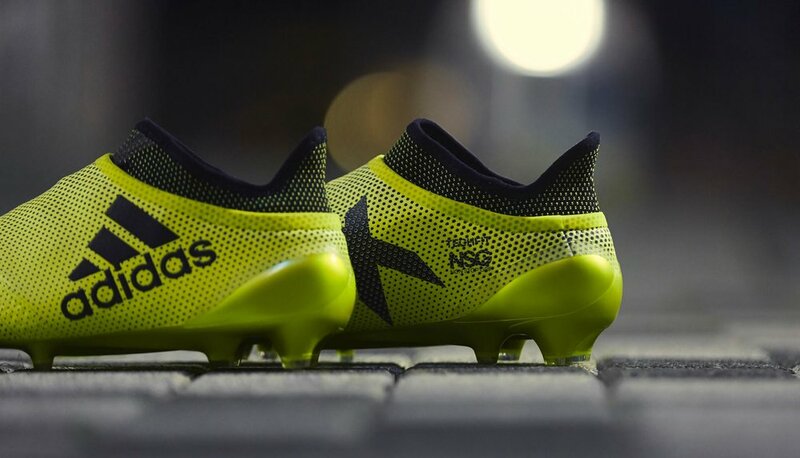 Dropping across the full X collection, the "Ocean Storm" colourway will also land on the X 17.1 edition as well as street and cage versions. Tech wise, it's as you were; only all of it is wrapped in a glowing glove of game ready vibes. Roll on the new season.